Garden of Life myKind Organics are supplements which have all of their nutrients extracted from organic fruits and herbs. Each multivitamin formula is made from real food – over 30 fruits, vegetables and herbs – organically grown, making them rich in powerful plant-derived phytochemicals and cofactors such as antioxidants, carotenoids, flavanols, isoflavones, catechins, anthocyanins, polyphenols, vitamins and trace minerals. This line was created by Garden of Life and natural wellness advocate Alicia Silverstone. Read more about the myKind line of supplements. Read an interesting interview with Alicia about why she loves myKind Organics. The myKind Organics line includes men and women’s multi vitamins. The Men’s Once Dailymultivitamins help strengthen the immune system and boost energy. The Women’s Multi vitamin contains extra iron for blood support and and B Vitamins for radiant hair, skin and nails. Each meets the individual needs of nutrients required by men and women. A calcium supplement in the myKind Organics line is derived from organic algae, not limestone. The tablets include 800 milligrams of calcium and essential vitamins to help the body properly absorb the calcium. If you are planning on having a family soon or already expecting consider myKind Organics Prenatal Vitamins because they’re USDA Organic certified and non-GMO products. The prenatal vitamins are so important. Click Here to read why. myKind Prenatal’s include folate from organic lemon peels and iron from organic curry leaves. Additionally, the prenatal formula also has a healthy dose of ginger and peppermint to help soothe the stomach and help calm morning sickness and nausea. 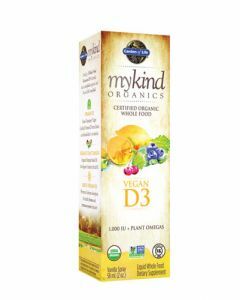 All of the tablets included in the myKind Organics line are gluten-free and vegan-friendly and contain all-natural ingredients without added fillers or binders. 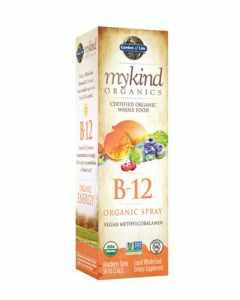 Meanwhile, the myKind Organics brand are available for less than other organic vitamins found in health stores and other websites. If you’re ready to take your health to the next level without any artificial fillers or GMOs, consider adding myKind supplements to your daily regimen.